The bookkeeper’s role is to record the day to day financial transactions for a business. They are in charge of recording the movement of money in and money out of the business. Different than a CPA who is focused on tax strategies, the bookkeeper is the starting point for all financial transactions. It is from the records your bookkeeper keeps that generate your profit of loss and balance sheet. So, if your bookkeeper is not doing their job with accuracy and in a timely manner, your financial statements will not be accurate either. And, if you are making business decisions based on your Profit and Loss Statement, then how can you be confident with the decisions you are making? 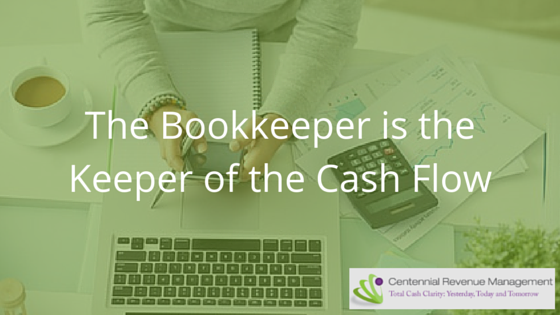 One secret to having good cash flow is to have a good bookkeeper! Don’t minimize the importance of the bookkeeper’s role in maintaining the integrity of your financials.